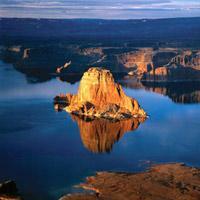 The Lake Powell Resort is located in Page, Arizona at the Wahweap Marina. This resort provides every guest with pleasant lodging, a restaurant and bar located right inside the resort. With this resort being located precisely on the Marina, every guest is able to experience and enjoy all of the on-site facilities. Some of these facilities include: the Wahweap Marina, hiking/biking trails, kayaking, scuba diving and many more facilities are provided. 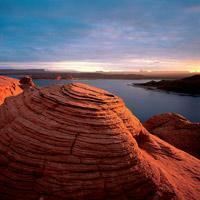 An activity that is within two miles from the resort is the Glen Canyon National Recreation Area. 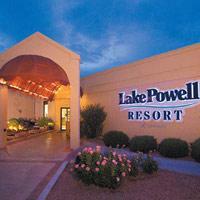 Some of the amenities that are provided at this resort include: numerous activities for families, air conditioning, cable TV, WIFI, daily housekeeping, private bathrooms, smoke-free guestrooms, picnic area, disabled parking, an outdoor pool with a poolside bar and a numerous amount of amenities are also provided at the Lake Powell Resort. Any child that is under the age of seventeen is considered a 'free' guest. An activity that is within two miles from the resort is the Marble Canyon Outfitters. 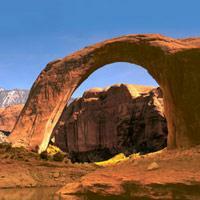 Another activity that is located within ten miles from the resort is the Powell Museum. All guestrooms make a wonderful impression with the amount of space, and the furnishings that are inspired by the Native Americans. Each guest room is provided with either a balcony or a patio. The restaurant inside this resort is the Rainbow Room, and the dishes produced are delectable, even for children. Pets are accepted at this resort solely for standard rooms. The main guideline is that no pet should be left alone at any time. An activity located within three miles from the resort is the Slot Canyon Hummer Adventures.